Improve International is a not-for-profit research and consulting firm that seeks ways to improve the responses to the water and sanitation crises. 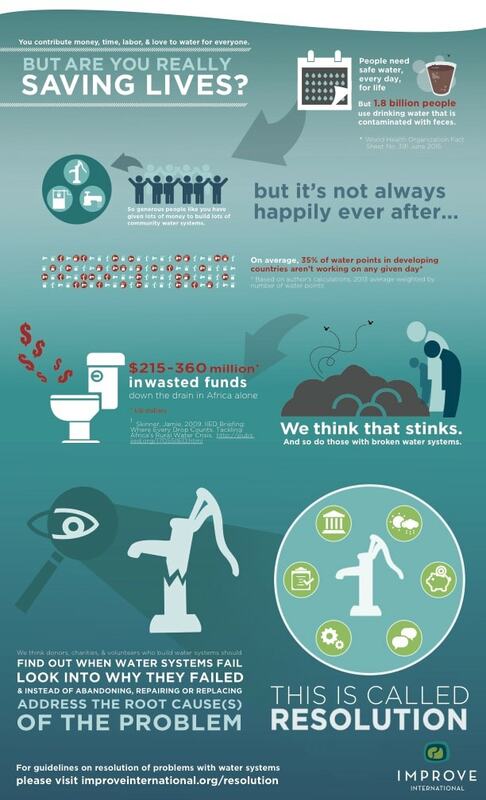 They believe that people deserve to have high quality water and sanitation services, for life, and for generations. Focusing on accountability, learning, and innovation, they help improve the work and coordination of international development organizations and donors. 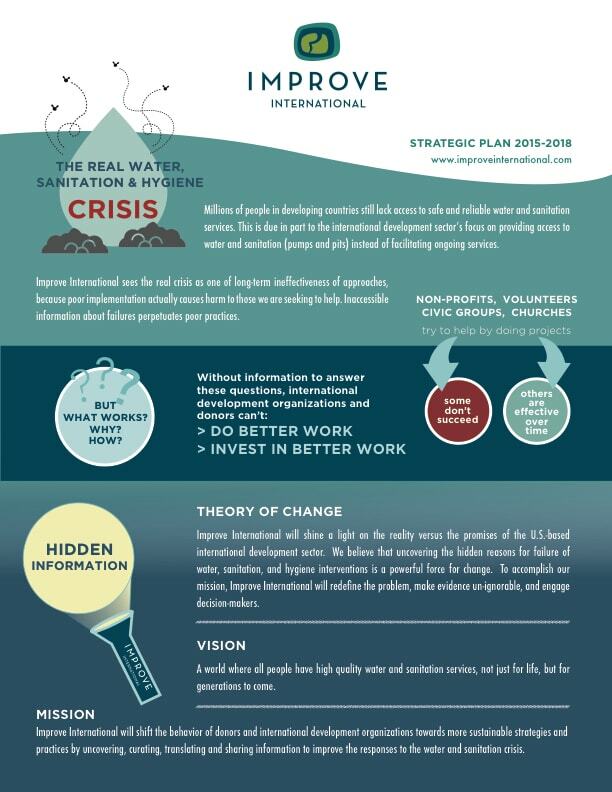 The challenge presented to Lost Pearl Creative was to take facts about the water crisis and create an easily understandable, visual “story” that communicates the importance of water and sanitation services.